This article is about the 2010 flotilla. For the 2010 flotilla raid and its aftermath, see Gaza flotilla raid. For the 2011 flotilla, see Freedom Flotilla II. For the 2015 flotilla, see Freedom Flotilla III. While the UN's official report found Israel's blockade of Gaza to be legal, another set of UN experts, reporting to the Human Rights Council, came to the opposite conclusion finding that it violated international law. Three of the flotilla ships carried only passengers and their personal belongings, while three other ships carried 10,000 tons of humanitarian aid, with an estimated value of $20 million. The cargo included food, wheelchairs, books, toys, electricity generators, operating theater equipment, medicines, medical equipment, textiles, footwear, cash, mobility scooters, sofas, and building materials, such as cement, which are prohibited under the Israeli blockade, although Israel offered to allow the cement to enter Gaza, if the flotilla were to dock in Ashdod. Night vision binoculars found on the deck of the Mavi Marmara, along with a scope to be mounted on a sniper rifle. Knives, wrenches, and wooden clubs used to attack the soldiers during the flotilla raid. Bulletproof vests found on the deck of the Marmara. Israeli news reported the flotilla to be carrying ballistic vests, gas masks, night-vision goggles, clubs, and slingshots, although the UNHRC report does not mention these items and in the Turkish Report on the Israeli attack on the Humanitarian Aid Convoy to Gaza it states that all passengers and crew as well as the cargo were searched to international standards and no weapons were found, on the ships departing from Turkey. 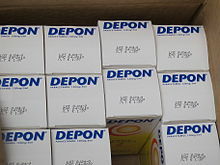 Seen here are many boxes of expired medicine which were to be delivered as aid by the Gaza flotilla. Two-thirds of the medicines delivered by the flotilla expired between six and fifteen months prior to the raid, and were found to be useless. Some other medicines found on the flotilla were due to expire soon. Additionally, Israel said that much of the cargo, including sensitive medical equipment, was found to have been scattered in the ship's holds, and put in piles rather than packed properly for transport, and consequently damaged. Operating theater equipment, which was supposed to be kept sterile, was carelessly wrapped. The expiring medications and sensitive equipment were kept in frozen storage in the Israeli Defense Ministry before delivery to Gaza. In previous voyages, Free Gaza vessels carried 140 passengers in total. In this flotilla, over 600 activists were on board the Mavi Marmara alone. There were 663 passengers from 37 nations on board the flotilla. Notable people aboard the flotilla included former UN Assistant Secretary-General Denis Halliday, former U.S. Ambassador to Mauritania Edward Peck, and USS Liberty survivor Joe Meadors. Israeli-Arab member of Knesset Haneen Zoubi, leader of the northern branch of the Islamic Movement in Israel Raed Salah, Swedish novelist Henning Mankell, convicted hijacker Erdinç Tekir, who participated in the Black Sea hijacking, and a number of parliamentarians from European and Arab national legislatures and the European Parliament. In a still taken from video footage filmed on the deck of the ship, activists on the Mavi Marmara throw a stun grenade at Israeli Navy commando soldiers. Israel questioned the humanitarian motives of flotilla organizers. Israel said it had invited the organizers to use the land crossings but they were "less interested in bringing in aid than in promoting their radical agenda, playing into the hands of Hamas provocations. While they have wrapped themselves in a humanitarian cloak, they are engaging in political propaganda and not in pro-Palestinian aid." Footage taken from the Mavi Marmara security cameras shows the activists preparing to attack IDF soldiers. According to an early IDF press release, the ship carried 75 mercenaries with links to al-Qaeda and other terror organizations, who carried $10,000 apiece on their persons, The claim was never substantiated and was later withdrawn. Israel has said that the group boarded separately in a different city and went on deck under different procedures. The Turkish Customs officials and the İHH denied the allegations. The impending arrival of the fleet was known to Israel government, military intelligence and press. Israel said that the flotilla was violating international law, but one of the flotilla's organizers, Greta Berlin, stated that "[w]e have the right to sail from international waters into the waters of Gaza". Israel informed the fleet that it would be redirected to the port of Ashdod and the cargo would be transferred to Gaza after undergoing a security inspection. Foreigners would be deported or, if they did not willingly agree to be deported, detained. The government of Cyprus refused to cooperate with the Free Gaza Movement or allow activists to sail from its harbors. The Cyprus Police stated that "anything related to the trip to Gaza is not permitted," and as a result remaining MPs and activists embarked instead from Famagusta in Northern Cyprus. Cypriot and Greek MPs and activists refused to embark via ports in Northern Cyprus. Having been delayed by two days, the flotilla aimed to reach Gaza on the afternoon of 31 May. Israeli forces raided the flotilla on the night of 30–31 May 2010 in international waters of the Mediterranean Sea, boarding the ships using speedboats and helicopters. Nine activists were killed. Dozens of activists and seven Israeli soldiers were injured. Children's toys from the Gaza flotilla are unloaded at the Ashdod Port, to be shipped to the Gaza Strip via the Kerem Shalom Crossing. After the raid, the activists were detained in Israel pending release: all were deported by 6 June. The ships were towed to Israel and those claimed by their owners were returned. The aid was delivered to Gaza under United Nations supervision on 17 June. ^ Buck, Tobias; Dombey, Daniel; Strauss, Delphine (31 May 2010). "Israel condemned after flotilla attack". Financial Times. Retrieved 24 June 2010. ^ Black, Ian; Haroon Siddique (31 May 2010). "Q&A: The Gaza Freedom flotilla". The Guardian. London. Retrieved 2 June 2010. ^ Lynch, Colum (1 June 2010). "Israel's flotilla raid revives questions of international law". The Washington Post. Retrieved 3 April 2011. ^ Ravid, Barak (27 May 2010). "Israel: Gaza aid convoy can unload cargo in Ashdod for inspection". Haaretz. Retrieved 13 July 2014. ^ Foulkes, Imogen (14 June 2010). "ICRC says Israel's Gaza blockade breaks law". BBC News. Retrieved 3 October 2011. • "U.N. Human Rights Chief: Israel's Blockade of Gaza Strip Is Illegal". Fox News. 14 August 2009. Archived from the original on 20 October 2011. Retrieved 3 October 2011. ^ Mitnick, Joshua (1 June 2010). "Flotilla Assault Off Gaza Spurs Crisis". The Wall Street Journal. Retrieved 3 April 2011. ^ a b Kosharek, Noah (6 June 2010). "Israel transfers hundreds of Gaza flotilla activists to airport for deportation". Haaretz. Retrieved 3 April 2011. ^ Demirjian, Karoun (28 May 2010). "Israeli commandos to block Gaza activists". The Seattle Times. Associated Press. Retrieved 3 October 2011. ^ "U.N. experts say Israel's blockade of Gaza illegal". Reuters. 13 September 2011. Retrieved 5 May 2013. ^ a b c d e f "Summary of equipment and aid aboard the Gaza flotilla". Israeli Ministry of Foreign Affairs. 7 June 2010. Archived from the original on 2 September 2010. Retrieved 2 September 2010. ^ Lis, Jonathan (1 June 2010). "Mossad chief: Israel gradually becoming burden on U.S." Haaretz. Retrieved 5 June 2010. • "Gaza flotilla: Israel accused of 'sabotaging' Irish aid ship Rachel Corrie". Daily Telegraph. London. 4 June 2010. Retrieved 25 June 2011. • Booth, Robert; Black, Ian (1 June 2010). "Gaza aid flotilla: Israeli sabotage suspected". The Guardian. London. Retrieved 26 June 2010. ^ "Taoiseach warns Israel of 'consequences' over arrests". Irish Times. 1 June 2010. Archived from the original on 5 June 2010. Retrieved 13 June 2011. MV Rachel Corrie ... is ploughing ahead with its attempt to deliver aid to Gaza despite yesterday's deadly attack by the Israeli navy on a Gaza-bound flotilla. ^ "Freed activists recount bullets, electroshocks". Kuwait Times. 2 June 2010. Archived from the original on 17 June 2011. Retrieved 3 October 2011. ^ a b "Özgürlük Filosu'nu komandolar basacak" [Commandos will board Liberty Fleet]. Aksam (in Turkish). Istanbul. 28 May 2010. Archived from the original on 2 October 2012. Retrieved 3 October 2011. ^ Mohyeldin, Ayman (1 June 2010). "Evidence belies Israeli claim". Al Jazeera. Retrieved 12 June 2010. ^ "Q&A: Israeli deadly raid on aid flotilla". BBC News. 6 June 2010. Archived from the original on 15 July 2010. Retrieved 27 October 2011. Often updated. ^ Sherwood, Harriet (25 May 2010). "Gaza aid flotilla to set sail for confrontation with Israel". The Guardian. London. Retrieved 3 October 2011. • 王寒露 (Wáng Hánlù) (28 May 2010). "Turkish aid ship leaves for Gaza". People's Daily Online. Beijing. Retrieved 3 October 2011. ^ Sherwood, Harriet (3 June 2010). "Hamas refuses flotilla aid delivered by Israel". The Guardian. London. Retrieved 4 June 2010. ^ "Ship attempting to break Gaza maritime closure boarded without incident". Israeli Ministry of Foreign Affairs. 5 June 2010. Archived from the original on 5 September 2010. Retrieved 3 October 2011. ^ Friedman, Ron (3 June 2010). "Wheelchairs as well as weapons found on board aid ships". Jerusalem Post. ^ Turkish NCI interim report 2010, p. 10: "All personal belongings and cargo were also thoroughly inspected and cleared." ^ "Hamas prevents flotilla aid from entering Gaza". Haaretz. DPA. 8 June 2010. Archived from the original on 5 September 2010. Retrieved 3 October 2011. ^ "Death in the Med". BBC News. 20 August 2010. Archived from the original on 1 September 2010. See also possible alternate availability. ^ Ronen, Gil (10 June 2010). "It's Official: There was No Humanitarian Aid on Mavi Marmara". Israel National News. Retrieved 3 October 2011. ^ a b Champion, Marc; Coker, Margaret (4 June 2010). "Israel-Turkey Crisis: U.S. Citizen Among Dead in Gaza Ship Raid". The Wall Street Journal. Retrieved 15 June 2010. ^ Sugden, Joanna (1 June 2010). "Gaza ships: the passenger list". The Times. London. Retrieved 3 October 2011. ^ "Turkish Press Scan for Aug. 20: Two Ships, Same Activist". Hürriyet Daily News. 20 August 2011. Retrieved 3 October 2011. ^ Keinon, Herb (24 August 2010). "Activist on 'Mavi Marmara' Black Sea ferry hijacker". Jerusalem Post. Retrieved 3 April 2011. ^ McGeough, Paul (31 May 2010). "Tension builds as flotilla approaches Gaza". Sydney Morning Herald. Retrieved 8 June 2010. ^ Krieger, Hilary (3 June 2010). "US concerned over IHH-Hamas ties". Jerusalem Post. Retrieved 3 June 2010. ^ de Montesquiou, Alfred (2 June 2010). "Turkish aid group had terror ties". NBC News. Retrieved 2 June 2010. ^ "According to the Turkish media (June 2012), IHH head Bülent Yildirim was under investigation for having clandestinely transferred funds to Al-Qaeda" (PDF). Intelligence and Terrorism Information Center. 17 July 2012. ^ Palmor, Yigal (24 May 2010). "MFA Spokesman on Gaza flotilla". Israeli Ministry of Foreign Affairs. Retrieved 3 October 2011. ^ Benhorin, Yitzhak (13 June 2010). "Ayalon to CNN: We won't apologize for flotilla raid". Ynetnews. Tel Aviv. Archived from the original on 5 September 2010. Retrieved 24 June 2011. ^ Shabi, Rachel (6 June 2010). "Israel forced to apologise for YouTube spoof of Gaza flotilla". The Guardian. London. Retrieved 1 July 2011. ^ Soncan, Emre; Salcioğlu, Muzaffer; Yenilmez, Cihan (31 May 2010). "Customs officials deny Israeli claims weapons were onboard". Today's Zaman. Archived from the original on 5 October 2012. Retrieved 27 October 2011. ^ Federman, Josef (6 June 2010). "Israel says activists prepared for fight on ship". The Washington Times. Retrieved 3 April 2011. ^ "Head to Head in the Heart of the Sea". Maariv. 28 May 2010. p. 4. ^ Blumenthal, Max (3 June 2010). "The Flotilla Raid Was Not 'Bungled.' The IDF Detailed Its Violent Strategy In Advance". MaxBlumenthal.com. Retrieved 8 June 2010. ^ Kershner, Isabel (27 May 2010). "Defying Blockade, Cargo and Passenger Vessels Head for Gaza". New York Times. Retrieved 25 June 2010. ^ Fox News (31 May 2010). "Israeli Officials Claim Aid Flotilla Had Ties to Al Qaeda, PM Gives Military 'Full Support'". Fox News. NewsCore and AP. Archived from the original on 5 September 2010. Retrieved 25 June 2011. ^ a b c Amos Harel; Avi Issacharoff; Anshel Pfeffer (31 May 2010). "Israel Navy commandos: Gaza flotilla activists tried to lynch us". Haaretz. Retrieved 11 June 2011. ^ a b CNN staff (31 May 2010). "Q&A: Aid and Israel's Gaza blockade". CNN World. Retrieved 3 June 2010. ^ Al Jazeera and agencies (28 May 2010). "Tensions rise over Gaza aid fleet". Al Jazeera English. Retrieved 25 June 2010. ^ "Gaza Freedom March Prepares Emergency Response for Freedom FLOTILLA". Intifada Palestine. 28 May 2010. Retrieved 25 June 2011. ^ a b Spencer, Richard (2 June 2010). "Gaza flotilla attack: Turkish activists killed in raid 'wanted to be martyrs'". Daily Telegraph. London. Retrieved 25 June 2010. ^ Marcus, Itamar; Zilberdik, Nan Jacques (31 May 2010). "Gaza flotilla participants created war atmosphere before confronting Israel". Palestinian Media Watch. Retrieved 25 June 2011. ^ Sheizaf, Noam (24 September 2010). "Rough Passage". Haaretz. Retrieved 3 April 2011. ^ "Abd Al-Razzaq Al-Maqri, Head of Moroccan and Algerian Delegation to Convoy to Gaza: 'Israel Will Be Annihilated Soon'". Washington, DC: MEMRI. 22 October 2010. Clip No. 2682. Retrieved 25 June 2011. ^ Foreign staff (1 June 2010). "4 Turks dead on aid ship". Business Day. Retrieved 3 June 2010. ^ Kambas, Michele (28 May 2010). "Cyprus bans activists from joining flotilla". AlertNet. Thomson Reuters Foundation. Retrieved 4 October 2011. ^ Psyllides, George (30 May 2010). "Flotilla ready to set sail". Cyprus Mail. Archived from the original on 1 June 2010. Retrieved 3 June 2010. ^ Kourakis, T (29 May 2010). "Ευρωπαίοι ακτιβιστές έφυγαν από τα κατεχόμενα για τη Γάζα" [European activists have left for occupied Gaza]. In.gr (in Greek). Retrieved 4 June 2010. ^ a b c "Did Israel tamper with flotilla?". United Press International. 2 June 2010. Retrieved 28 June 2010. ^ Williams, Dan (1 June 2010). "Israel admits mistakes in boarding ship". National Post. Reuters. Archived from the original on 6 June 2010. Retrieved 4 October 2011. ^ Macintyre, Donald; Green, Toby (5 June 2010). "Israel warns Gaza-bound 'Rachel Corrie' to stop". The Independent. London. Retrieved 28 June 2010. ^ a b Lis, Jonathan (1 June 2010). "Mossad chief: Israel gradually becoming burden on U.S." Haaretz. Retrieved 28 June 2010. ^ "Israel releases last of activists seized on aid ships". The Hindu. Chennai, India. DPA. 2 June 2010. Retrieved 5 October 2011. ^ "'Freedom flotilla' Will sail to Merauke". Papua Untuk Semua. Jayapura, Indonesia. 15 August 2013. Retrieved 4 September 2013. ^ "Four West Papuan Pro-independence Leaders in Sorong Arrested for Pray to Freedom Flotilla". Papua Untuk Semua. Jayapura, Indonesia. 31 August 2013. Retrieved 4 September 2013. "Report of the international fact-finding mission to investigate violations of international law, including international humanitarian and human rights law, resulting from the Israeli attacks on the flotilla of ships carrying humanitarian assistance" (PDF). UN Human Rights Council. 27 September 2010. p. 66. Retrieved 12 June 2011. "Interim Report on the Israeli Attack on the Humanitarian Aid Convoy to Gaza on 31 May 2010" (PDF). Ankara: Turkish National Commission of Inquiry. September 2010. p. 74. Archived from the original (PDF) on 28 September 2011. Retrieved 23 June 2011. "Report on the Israeli Attack on the Humanitarian Aid Convoy to Gaza on 31 May 2010" (PDF). Ankara: Turkish National Commission of Inquiry. February 2011. p. 117. Archived from the original (PDF) on 1 March 2011. Retrieved 13 June 2011. This page was last edited on 29 January 2019, at 22:07 (UTC).